If you are interested in growing a business or building assets, you need to understand the legal tools that are available to help you to protect what you are building. 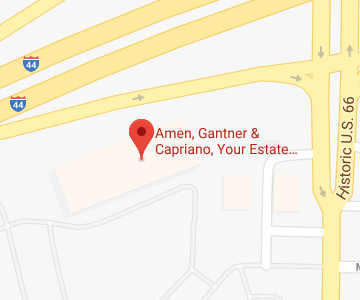 A St. Louis asset protection lawyer at Amen, Gantner & Capriano – Your Estate Matters, L.L.C. can help you to understand how the laws apply to you and can help you to make use of the tools you need to achieve professional success and grow your wealth. Why is asset and business planning important? How does asset and business planning work? How can a St. Louis business planning lawyer help you? Without a plan, growing a business or growing wealth is difficult or impossible. You not only need to set goals for saving and for company expansion, but you also need to make sure you protect your interest in the business and your growing nest egg. To provide you with the protections you need to keep your assets and company safe, you should explore the legal tools that are available to you. You also need to identify and mitigate the risks that can go along with building wealth or creating a successful company. Getting knowledgeable advice from a St. Louis asset protection lawyer can be a smart choice because you can significantly increase the chances of achieving your financial dreams while minimizing the risk of loss. The process of business planning and asset protection can be complicated, because the steps you need to take should be customized to your particular situation. For example, someone who primarily wants to build their own business is going to face different risks and have different concerns than someone who wishes to grow wealthy only by investing in existing, established businesses. A good asset protection and business planning lawyer will want to learn about your goals first, before giving you the advice needed to work within the law to achieve them. Your lawyer will ask you about your company and current assets, as well as about your short and long-range goals. With knowledge of what you hope to accomplish in mind, an asset protection and business planning lawyer will begin to develop an appropriate personalized plan. For business owners of both startups and established organizations, your attorney can advise you on whether you have selected the correct business structure. Some forms of ownership, like sole proprietorship, make you particularly vulnerable because your personal assets as well as business assets are at stake. Incorporating, on the other hand, can protect you from personal liability for lawsuits and judgments against the company. Incorporating can also give you more flexibility in regards to company taxes, as you will have a choice of forming an S-corp or a C-corp which are taxed in very different ways. An attorney can also help business owners to address succession issues with the creation of appropriate contracts to protect their interests, such as a buy/sell agreement detailing what happens if any co-owner wants to sell his shares and leave the company. Buy-sell agreements, partnership agreements, and employment agreements can not only allow for the seamless transfer of a company to new owners but can also reduce the chances of disagreements while the current owners are operating the organization. Attorneys also provide assistance with asset protection of all types, including structuring ownership of all different kinds of assets so the property isn’t counted for purposes of determining Medicaid nursing home eligibility and so the property will not be hit with estate taxes upon a death. Both business owners and anyone with significant investments and acquired wealth can benefit from advice on protecting assets. Amen, Gantner & Capriano – Your Estate Matters, L.L.C. is here to assist you with all aspects of growing assets, growing your business, protecting your wealth, and protecting your company. Give us a call today at 314-966-8077 or contact us online to learn more about how our St. Louis asset protection lawyers can help you.